Administrators can archive old projects in their accounts. Projects can be reactivated at any time by following the steps below from your 360 account homepage. 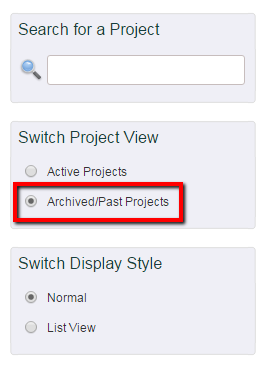 Switch your project view to Archived/Past Projects. Click the "reactivate" button to the right of the project that should be activated.